Central Asset Investments is an established Asia-focused multi-strategy investment firm. Founded in 2005, Central Asset Investments capitalizes on the firm’s Asian investment background and strength in equities, convertible bonds, and fixed income in order to provide investors with long term, superior absolute returns. The Central Asset Investments team consists of professionals in both Hong Kong and Shenzhen, working across portfolio management, research, risk management, investor relations and operations. Central Asset Investments was voted as the “Asia Focused Multi-Strategy Investment Firm of the Year” by Acquisition International in 2014. 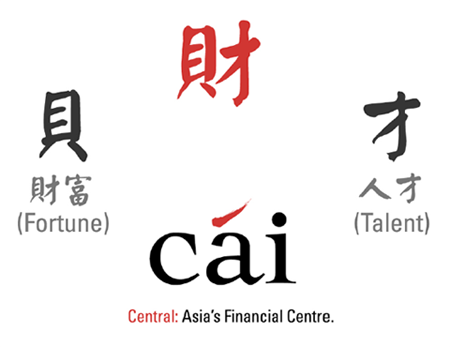 Central Asset Investments manages the CAI Global Fund and the CAI Special Opportunities Fund. The CAI Global Fund has an annualized return of over 16% since inception in 2005, which places it in the top 0.1% of all funds globally according to Bloomberg data (based on 5 year annual returns). It was featured as one of the top performing multi-strategy funds in 2013 by both Preqin and Barclayhedge respectively. The fund was also voted “Best Multi-strategy Hedge Fund” in 2011, “Best Hedge Fund Asia-Pacific” in 2010 and “Best Hedge Fund Asia (Ex-Japan)” in 2008 by Asian Investor. This website is meant for reference only, and is not meant to constitute an offer to sell or the solicitation of an offer to buy any interests in any securities, investment product, or fund. Any such offer or solicitation may only be made by means of delivery of a confidential private offering memorandum or other similar materials which contain a description of the material terms relating to such investment or fund. Any such investment or investment in such fund involves risks, and investors must read the detailed risk factors included in the definitive offering materials of the fund. This website has not been reviewed by the Hong Kong Securities and Futures Commission (the “HKSFC”), nor has the information on this website been filed or reviewed by the Commodities Futures Trading Commission (the “CFTC”), pursuant to an exemption from the CFTC in connected with pools whose participants are limited to qualified eligible persons. This website is meant is for use in jurisdictions which do not restrict access to such information. In addition, the information in this website will only be made to ‘Professional Investors” within the meaning of the Hong Kong Securities and Futures Ordinance, Chapter 571 of the Laws of Hong Kong (“the SFO”).